The Rites of the Church: Superstition or Faithful Reception? 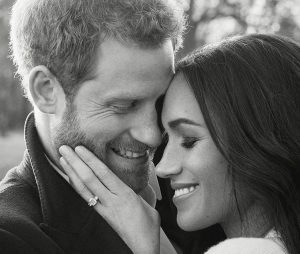 Meghan Markle will marry Prince Harry on May 19. In preparation for her wedding there was planning for all the normal details: dress designed, cakes ordered, itineraries checked and double checked. There was also a baptism and a confirmation on the pre-wedding “to-do” list. 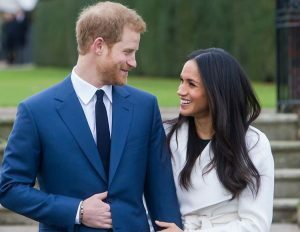 Ms. Markle is reported to have said she was being baptized and confirmed in the Church of England as a sign of respect for the Queen. There is no reason to doubt the integrity of Ms. Markle’s public confession of her faith in Jesus and assume the best – but it’s troubling that one might be baptized and confirmed in the Church out of respect for someone. Is that a good reason? It is common to find similar attitudes. The rites of the Church are sometimes viewed as something performed to please someone or to fulfill a family expectation or obligation. Some see them as rites of passage – simply a marker in the maturation process. Others view them as imparting some sort of blessing or protection that exists apart from faith. However, there are serious flaws and dangers in this way of thinking. Church rites begin and flow out of a life of faith nurtured by Jesus by regular attendance at the Divine Service. When any of the rites are disconnected from a faith nurtured by regular service attendance they cease to function in the way they are intended and lose their meaning. In fact, when disconnected from a life of faith they may cause more harm than good and unintentionally teach a dangerous superstitious understanding of both the rites and of Jesus Himself. Desiring to have a child baptized is a wonderful thing! Parents want to bring their children to the font because they trust the promises Jesus says are attached to the blessed Sacrament and want their child to receive those gifts. As part of the ceremony, parents and sponsors vow to bring the child regularly to God’s house to hear the His Word, and to teach them the Christian faith. 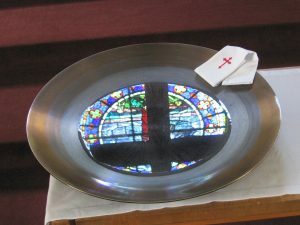 If, however, they are just getting the child “done” (as some have described it) and do not understand or care about the promises Jesus makes through water and the Word, and have no intention of bringing their child to the Divine Service where the child’s faith (and their own) is fed and nourished – then this is not a good thing. In fact, it is hypocritical and dangerous. When viewed this way the rite is removed from a faithful life lived in the Church and, without the context of a life of faith, the rite is perverted making it something it is not. It may be seen as some sort of “magic” and function more as a superstition than a means by which grace is distributed and received through faith – a faith that continuously needs feeding and nurturing by regularly receiving the gifts from Jesus given in the Divine Service. “Our child is the right age; I guess it’s time for Confirmation.” The “why” of enrolling the child in confirmation is important. If it is because the parents desire to have their child grow in knowledge and faith in Jesus and be admitted to the altar to regularly receive the Body and Blood of Jesus – then thanks be to God! However, if the last time the child was at church was when he or she was baptized, we have a problem. Confirmation is not intended to be “Introduction to Christianity 101.” It is intended to follow up on a child’s regular attendance in Divine Service hearing and learning from God’s Word as a part of their lives and as exemplified by their parent’s life of faith. In this way parents are faithful to the vows made at the child’s baptism to raise the child in the Christian faith and to live as godly examples for their children. It is further intended that both during and following confirmation the confirmand will continue regular church attendance — part of the vows confirmands make on their confirmation day. Now, perhaps the family and the child have not faithfully attended Divine Service and confirmation presents an occasion for them to begin regular attendance – then praise God! If, however, it is not the intention of the confirmand to continue to regularly attend following confirmation, then it begs the question: “Why bother?” If Confirmation is viewed as simply a period of instruction after which the student is “finished with church” then the point of Confirmation is missed and perpetuates the unhealthy view of “confirmation as graduation” from the Church. A times you hear people remark, “Well, at least they got married in a church.” Holy matrimony is indeed a blessed gift the Lord gives us, and it is a joy when a couple comes together before the altar to make vows to one another and to God that they will live together in the estate of Holy Matrimony as God intends it. The marriage rite includes prayers that the couple would be faithful to each other and to their marriage vows. This blessed union is then to receive continual strengthening by hearing the Word of God together, by receiving forgiveness from Jesus which is then extended to each other as they faithfully attend Divine Service where Jesus comes to serve them through Word and Sacrament. However, if the last time the couple was in church was when they were married, and it is not their intention to regularly attend, what difference does it make if they are married in a church? Why bother holding your wedding in a church if you don’t intend to come back? The wedding may as well be officiated by a marriage commissioner in a hall. If the marriage rite is divorced from a life that intends to be lived in faithful reception of God’s gifts in the Divine Service then, once again, the Church rite becomes some sort of superstitious spell cast upon the couple to wish them success as they walk out the door never to return. The only way the rites of the Church can be properly understood is within the context of a life of regular and faithful reception of the gifts from Jesus in the Divine Service. When removed from a life of faith, rites are abused and lead to misunderstanding. Looking for a rite of the Church apart from a life of faith is asking for the wrong thing. It’s like going to Pizza Hut and ordering a Big Mac. If you want a baptism apart from a life of faith lived in the Church – your expectations are wrong. That’s not what baptism is. If you want to be confirmed and do not intend on regularly attending Divine Service afterward – that’s not what confirmation is. If you want the rite of Holy Matrimony but intend to live your married life apart from the Bridegroom and His Church– that’s not what holy matrimony is. Some might say that celebrating the rites of the Church serves as “evangelism” and that we should baptize, confirm, and marry anybody who asks hoping they will come to faith and attend church. However, that’s asking the rites of the Church to do something they are not intended to do. They are not evangelistic—at least not in their primary function and intention. Rites confer the blessings and gifts of Jesus received through faith. Others may argue: “For the sake of the few who might come to faith and become active in the Church, we should do it!” But that assumes that in performing these rites in a way in which they are not intended does not have negative consequences and nor causes damage to the witness of the Church. In fact, arguably, it does cause damage and denigrates the meaning of these rites and unintentionally teaches a superstitious view of Jesus rather than a view that such gifts from Jesus are received through faith. We may very well be doing damage to the confession of Jesus and the integrity of the Church when we try to make the rites do the evangelism work we are given to do in our daily vocations. Have we sought to legitimize the misuse and misapplication of the rites of the Church by claiming them as evangelism? Observing the rites may present us with opportunities to patiently and gently explain and teach people a deeper understanding of their meaning, however we ought not allow the use of Church rites in a way that teaches that they do not require faith nurtured by Jesus in His Church. Could it be that we have helped perpetuate an understanding that regular attendance at Divine Service has nothing to do with the Christian Faith? We become concerned about issues surrounding the sixth Commandment, “You shall not commit adultery”, but we seem less concerned about the third: “Remember the Sabbath day by keeping it holy.” Have we unwittingly given the world the witness, and members of our churches the message, that Jesus is not a lot different from a voodoo doll that you conjure up to give you good luck and blessings if you have some magic words said in a ceremony? Have we unintentionally taught people that this is what Christianity is – “magic” rites and rituals to be sporadically performed throughout one’s life with no connection to the Church, the Divine Service, and a life of faith? If the high percentage of inactive members connected to many of our congregations tells us anything about this – a good number see little connection between a life of faith and regular reception of the gifts from Jesus in Divine Service. The rites of the Church are not rightly viewed as standalone events. They are not things that need to be “done” and checked off the “to-do” list or as something to appease a grandparent. We avoid a superstitious understanding of the rites of the Church when we understand that they are for the faithful and to be received through faith. Apart from faith they make no sense. So, what do we do about this misunderstanding many seem to have? In our parishes, when someone approaches us to perform a rite of the Church, we can seek to winsomely communicate the essential connection of the rite to a life of faith nurtured by Jesus in the Divine Service. Jesus said “I am the vine, you are the branches. Whoever abides in me and I in him, he it is that bears much fruit, for apart from me you can do nothing.” In receiving from Jesus in the Divine Service we abide in Him. At times, when it’s clear that the rite is being sought for its own sake in isolation from a life of faith we may need to say “no” until we can provide instruction to build an understanding that the gift given in the rite is to be received through faith. Perhaps we need to consider carefully how to avoid giving any superstitious understanding of the rites. We will need to continue patiently teaching God’s people that receiving the gifts from Jesus in Divine Service is not incidental to the Christian faith; it is essential. We can start with ourselves seeking to model the receptive Christian life and faith by making our attendance at Divine Service an absolute priority. The rites of the Church are the ways in which we receive the gifts and promises from Jesus through faith. They are a treasure through which our Lord generously shares His gifts with His people. They often serve as meaningful and significant events in the lives of the faithful because they are, in fact, meaningful and significant. This is because the gifts given are recognized as gifts from Jesus and joyfully received through faith. We regularly make use of them because our Lord bids us to come and receive His gifts – and we in faith receive His gifts and respond with lives filled with thanksgiving and praise. Betty, thanks! And thanks for sharing your great posts every week! Thank you Mike. Well delivered. It has been a struggle to discuss these issues inside the church and I am happy to receive and contemplate these thoughts.